NAS boxes are becoming an increasingly popular commodity in people's homes - whether it be for creating redundancy of your data (loosely called "backing up"), having a central storage of music, movies and media, for business and SOHO needs with a few dozen users, or, in this case all of the above and a whole load more. 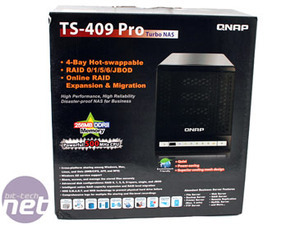 The TS-409 Turbo is a bit like the "ultimate NAS" without the asking price when you read its feature list below - guaranteed it'll have something you need or have thought about before and shifting the onus of responsibility from your power hungry main PC or server to independent, low power box might certainly tempt some of you. The Pro version adds Microsoft Active Directory support for Businesses and NFS support for Linux clients; this we'd have thought, of all features, NFS support should be "core" in the first place. 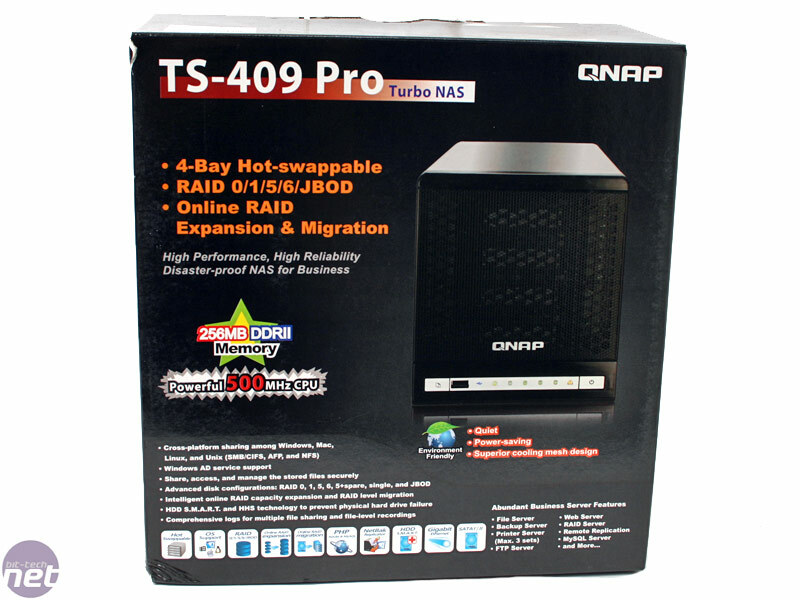 As you'd have guessed from the name the 409 is a four disk NAS box that offers a multitude of disk management options - either a single, large space (JBOD) or a variety of RAID versions where we have previously explained in detail right here. It's sort of surprising to see the typically enterprise level RAID 6 come to this type of device, but it's still only the tip of the iceberg when we consider more inventive features like RAID migration and expansion. Both are clever tricks to allow for future-proofing and can be done on the fly while the machine is running - there's no downtime involved. Well, that's not strictly true - you still have to wait for the NAS box to readjust its underwear before it gives the thumbs up, and in this case we found that it can take some time. By adding extra disks the migration feature increases the RAID level from 1 to 5 to 6 or spare etc, depending on your settings, and the expansion feature allows the disks to be replaced with higher capacity ones (one at a time) in order to increase the space available should you need it. It's very similar to Netgears X-RAID feature on its ReadyNAS NV+ products and I'm thoroughly assured by the Editor of TrustedReviews that it's an oh-so-awesome feature. Having just suffered the wrath of my Thecus N2100 not allowing RAID (or JBOD in my case) expansion by simply adding another disk, I can completely sympathise that of all, these are key features. Without them you're left to wipe the array and start again which goes against the whole reason why many people buy separate storage devices in the first place! In the box there's the power adapter, CAT5 cable, brief instruction manual and information disk, but very little else as everything is all pre-fitted to the TS-409 anyway. 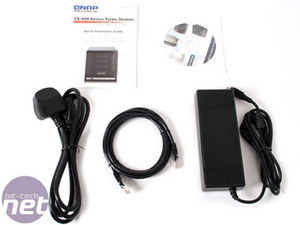 With a large fan, 512MB of DDR3 memory and a 1.6GHz CPU, is the DS211+ a speed daemon? The successor to the excellent DS210j doesn't disappoint.